I thought this book was extremely sad.. I liked listening to his story but it did make me cry several times. im glad he was able to get away from his abusive mother. I kept thinking why does she treat him like this but none of her other kids. it made me very sad.. There are no words to describe how wonderful this book is.It is a tear jerker.It makes your heart hurt but its so informative about abusive families.It's even worse that things like this actually happen.I truly loved this book and it is one of my favorites. 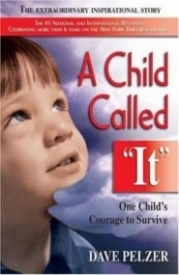 A Child Called “It” was one of the best books I have ever read. It was impossible to put it down. It was similar to a car accident, something extremely gruesome and horrifying, but also something that you can’t take your eyes off of. It absolutely succeeds as an effective memoir. Dave Pelzer’s survival story is extremely inspiring and amazing considering he fought for his own life against one of the most abusive parents in history at such a young age. The vivid details in Pelzer’s writing allowed me to feel his pain, hatred and helplessness. It is written in a young boy’s point of view, making it a fast and easy read. It is effortless to get into the mindset of the character by the way he describes his mother’s actions and his own feelings. It made me want to step in and help him, and turn in his mother for doing such horrible things to a child. The details about the different ways she would abuse him, like forcing him to eat out of his brother’s dirty diaper, made me feel sick, emotional, and like I truly hated his mother just as much as he did. I was hopeful throughout the entire memoir, that he would overcome this and escape her wrath. He constantly reminded himself that he was in control, and only he could decide his future. He came close to giving up, but fought through it. This added a lot of suspense and really pulled some heart strings. Reading this memoir has influenced me to write more personally. I normally write very formally, rather than using my own voice. It has taught me to write from the heart; that way, it will be much more engaging and relatable to the reader than just stating the facts. 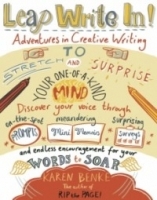 It also helped me to incorporate musing into my writing. The way Pelzer reflected on the things that happened to him wasn’t distractive to the plot. He added details about how he felt, and what his plans for the future were. It showed that he knew he was worthy of something, and wouldn’t let his life continue this way. This book should be offered again. It is an extremely intense memoir that makes you appreciate your life much more. I greatly admire David Pelzer for having the courage to share his story and using this dark period of his life to enlighten others. Such a raw emotion strung out in these pages. The horrors of what this child had to go through. I thought to myself while reading this: "How could a mother be such a monster to her child? How?" That is one of the things in life that I don't understand. The abuse of children. A Child Called "It" pulled at my heartstrings and I had a tough time getting to the end of this book because of the cruelty that was brought upon Dave Pelzer. I've seen horrid before but people like his mother take the word to a whole 'nother level and beyond. No one should ever go through such torture, never. Reader reviewed by Arianna J. This book was so heart-wrenchingly good. It's hard to imagine going through an ordeal like that, and living in the enviroment that he did for such a long period of his life. Everytime I read this book, I am affected in a new way. It is so sad to see some of the cruelties of child abusiveness, and what it can do to affect the victim and their famillies, and even their relations with other people and family members. I highly recommend everyone to read this tragic, yet hopeful story of "A Child Called 'It' ". A Child Called It Review. O My Goodness!!!! This story was very powerful! I can not imagine what he had to go through. His mother was a Witch!!! She did all those things to him for no reason! I almost started crying half the time i was reading the story. It was crazy. I had always wanted to read it and when i finnaly got the chance i just couldnt stop. It just makes me realize how good i have things and how much i take advantage of it. I would recommend this to anyone who is selfish and who doesnt care what happens to anyone. This story was very powerful to me andf just makes me think!! ALOT!!! Dave Pelzer wrote the book, The Child Called It. This book is a story about a kid named Dave, but he is called It by his abusive mother. Dave is abused by his mother. His mom ended up getting a mental disease that made her very mean. She also ended up with an alcohol problem. Dave had four younger brothers. The brothers finally stepped in to help, but they couldnt do much otherwise they would start getting abused to if they got too involved. Dave told the nurse at school what was going on, so they took him away, but they just gave him right back to his abusive mother. This is a Non-fiction book. It took place in there home, and school. Dave Pelzer has three other books about his abusive life. A Man Named Dave, The Lost Boy, and Help Yourself. I havent read them, but I bet theyre very good books. The child called it has won many awards but the best award was The Pulitzer Prize. My favorite line, or quote in the book is Once again, another night in the basement on the cot. The main characters are his mother, Catherine Pelzer, his brothers are. Stan, Ron, Russell, and Kevin, and the dad Stephan Pelzer. And Dave the Narrarator and the main character. Catherine, and Stephan are married, but Stephan is losing his relationship between the two. The huge catastrophe is Dave getting abused and the dad just sitting back watching. You should really read this book, because you can understand how serious child abuse is. This is a very good book. This book is recommended for teens. Dave Pelzer based this book on his childhood. He was between ages 5 and 11. His mom, dad, and brothers are in his life at the time. David is abused and gets hit and kicked thought the years by his mother. His dad just sits and watches because he knows if the says something David with get hit worse. This story takes place at Davids house in the 1960s. This book is non-fiction and is the only book in the series. My favorite line in the book is I sneaked away to the garage faucet and filled my stomach with water. The main theme of the book is abuse. Ages 12-18 mostly read this book but adults read it to. This book won The New York Times Best Seller award. Another book that I would recommend The Lost Boy. The Child Called It is a really good book you should really read it might remind you that life doesnt always go the way you want it. The book called "A Child Called It," is a very emotional read. It's about a young kid who's life is full of a lot of pain and struggles. His parents mistreat him without anyone knowing from the early ages of his childhood. I really do recommend this book to anyone who doesn't mind reading a very touching and emotional and TRUE story.